Bush Intercontinental Airport Piping Project | AirTemp, Inc. In February 2011, the Houston Airport System (HAS) discovered that chilled water lines were leaking 31 feet below ground at a rate of 10,000 gallons of treated water per day. The leak was under the taxi-way bridge that serves the entire George Bush Intercontinental Airport. The nature and location of the leak created major concerns for HAS. The HAS needed a strong mechanical contractor to expedite an emergency solution that would minimize any negative impact to airport operations. Comfort Systems USA (CSUSA) was ready to help. Rerouted chilled water lines and installed nearly one mile of 36” diameter piping above ground, including the installation of four bridges over heavily traveled roads and one underground road transit. Completed work in 7½ months with minimal impact on airport operations. Delivered the project under budget and ahead of schedule. Used 200,000+ man hours without a lost time safety incident. CSUSA was awarded this project in April 2011. This project required collaborative effort and involved multiple CSUSA Companies working with local Minority and Women Business Enterprises’ (MWBE) business partners. Prior to construction, the City of Houston requested a goal of 33% MWBE participation. CSUSA completed the project with an MWBE participation of 51%. 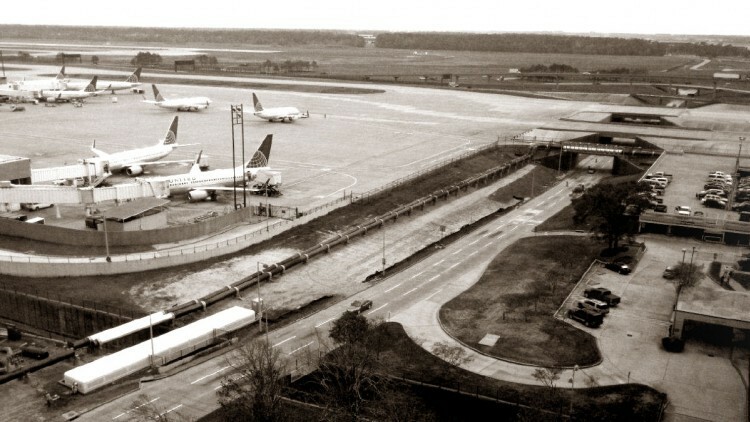 The $17,000,000.00 project that CSUSA completed at the George Bush Intercontinental Airport included: new above ground chilled piping system consisting of one+ mile of 36" diameter piping; structural racks; foundations (some in concentrated utility conflicted areas); four bridges spanning over highly traveled roads; an underground road transit; storm water prevention planning; landscaping design and implementation; constructability reviews of design; construction and management. All work was done without impacting airport operations while maintaining airport security standards.